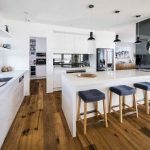 This kitchen is a perfect example of how you can have a space that not only has an uncompromising style, but ticks all those functional boxes too. 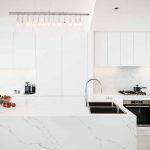 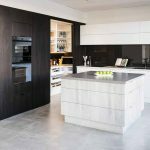 This home’s previous kitchen served its purpose for many years but was in dire need of an update.The brief was for a functional, modern, industrial kitchen. 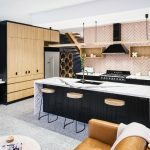 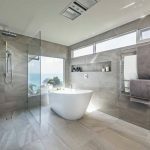 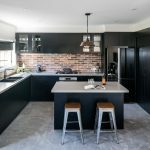 The plans for this kitchen transformation developed from initial ideas of a white, modern space to a black one with an island on the other side of the room. 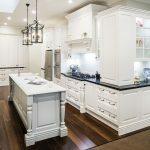 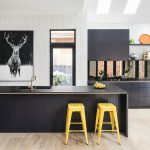 The homeowners wanted a revived kitchen that would have an unexpected impact and surprise visitors, so this black-and-timber masterpiece was created.